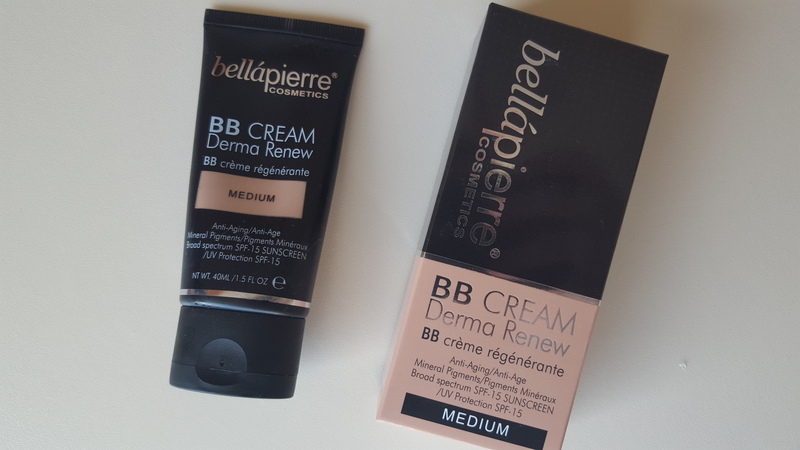 Considering I have had this foundation since last July, it has taken me a long time to get around to writing a review. The reason for this being I couldn’t make my mind up on it. When I initially got a few samples in Sephora I absolutely adored it. Then when I bought the full bottle, I just couldn’t seem to get on with it. I found it patchy and not very long wearing. 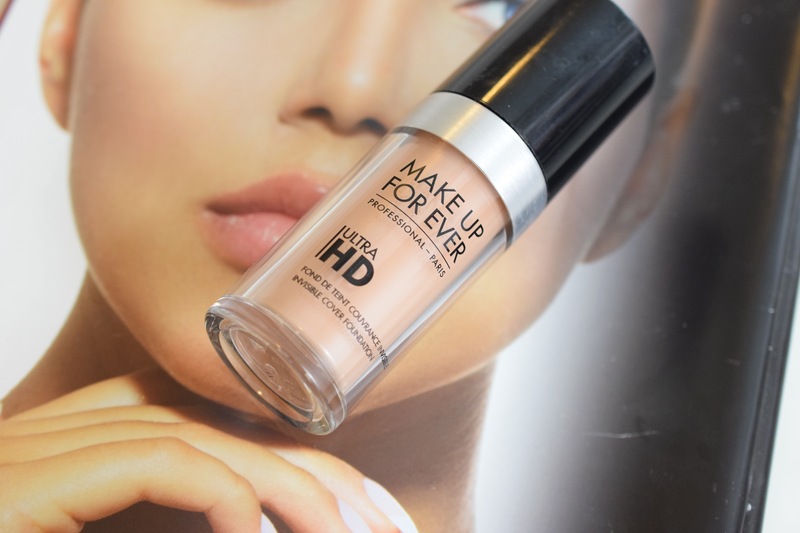 Now thankfully because I finally had the good sense to try it with a primer, I have been able to do a full and detailed analysis of how I really feel about the Make Up For Ever Ultra HD foundation. Shade Range: There is a serious amount of colours to pick from in the ultra HD foundation. In fact there are 40 shades to choose from. It is the first time I have found it difficult to pick a shade because I had my pick of a few. I was undecided between 125 (Y315) and 127 (Y335). 125 is more yellow toned which is what I would normally go for, but the 127 gave my skin more warmth. In the end I ended up going for the 127 and I am very happy with how it looks. I love the warmth it gives the skin. Packaging: Packaging if fairly minimal. It comes in a plastic bottle with a pump dispenser and a plastic lid. I actually prefer plastic bottle, as they are less likely to break in my bag or if I drop them.You get 30ml of product. Texture: This is quite liquidy and spreads very easily. I found that a little did go a long way and it was super silky when applied. You d0 need to buff it into the skin, as it can tend to be a little streaky if you don’t do this. Skin Type: I really find it so hard to judge what skin type a foundation suits, as my skin is quite normal. I do have a slightly oily t zone but apart from that I don’t have any issue with my skin. I would be inclined to say it is suited to those who are slightly dry, normal or slightly oily. If you find that you’re quite oily throughout the day, you will need to set this foundation with a powder. In fact, I find that it wears much better throughout the day when set with a powder. At the moment I am setting my face with the Hourglass ambient lighting powder and find that together they really give the skin a beautiful glow, but any powder should do the trick. Finish: This is a satin finish foundation. As I mentioned above, it does need to be really buffed into the skin or it will look a little streaky. I really like how the finish on this foundation looks when set. 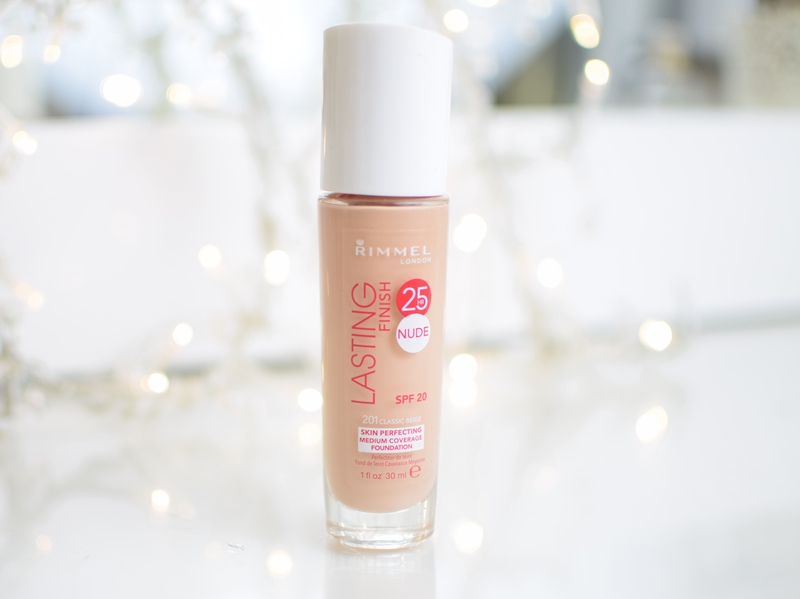 It not only gives a flawless finish but it gives the skin a bit of a glow too. Coverage: I would be inclined to say that this is a medium coverage foundation but it can be built to a medium/full coverage, which I have done in the pictures above. What I really like about it is while it gives excellent cover for blemish etc, you can still see freckles come through. When applied more lightly it can be like a second skin too.I really love the coverage of this foundation because even though I can achieve excellent coverage, it doesn’t feel or look like a mask. In fact it feels really lightweight on the skin. Lasting power: The lasting power of this foundation all depends on one thing. The use of a primer. If I don’t wear a primer this foundation goes all patchy on me and wears off within 2 to 3 hours. In fact it is a hot mess without a primer. However, when worn with a primer it lasts really well all day. It can begin to settle a little in fine lines towards the end of the day, but that is fairly common for me. Just another joy of getting older. Since I started wearing the Make Up For Ever Ultra HD foundation with a primer, I have fallen more and more in love with it. 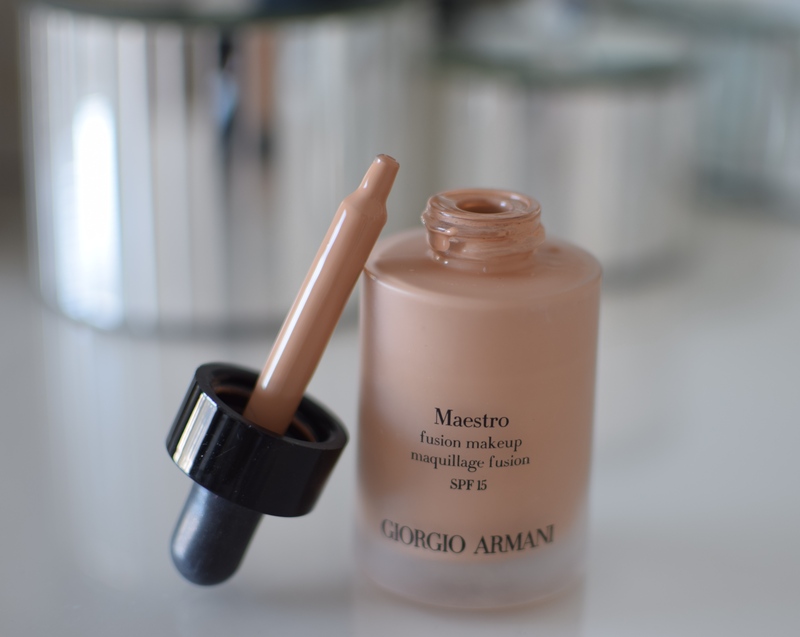 I adore the finish, coverage and how well it lasts throughout the day. It really gives your skin a kind of glow from within look to it. I can 100% guarantee that I will be repurchasing this foundation and I have a feeling it is going to be up there with my beloved Mac Pro Long wear in no time at all. Would you need to use the Make Up Forever primer or any one you have at home? I should have mentioned what I’ve been using. I would love the mufe primer but I’ve just been using a cheap flormar one. I agree, it defo needs a primer. I really liked it but have to say I wasn’t blown away by it. I was trying it out as a possibility for wedding foundation but need to work with it a bit more. I’ve heard the sticks are AMAZING and especially with Laura Mercier loose powder as a setting! I think that’s my next purchase! 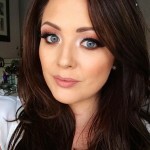 Never used that but am sticking with Lancome Teint Idole which is fantastic, I have the same skin tone and colour as you Sinead and use 010 which is so lovely and smooth and the coverage amazing with just one blob of make up. It gives the skin such a lovely clear porcelain finish. It lasts all day and night and no need to retouch. The bottle of make up lasts forever. I just use moisturiser underneath and a loose dusting power on top to get rid of any sheen and to hold in place. try it as amazing. They will usually give a sample at Lancome, the girl in Debenhams Lancome in Galway is amazing and so helpful.